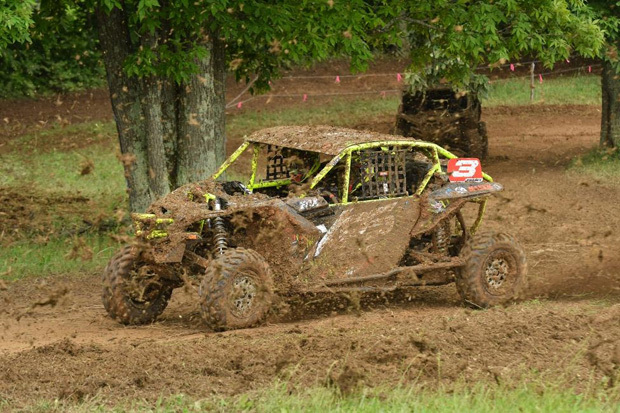 Ohio native, Kyle Chaney took the UTV overall win on Saturday on afternoon. 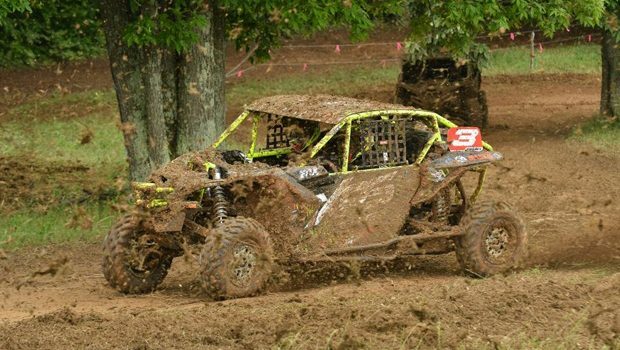 The John Penton GNCC featured round four of the UTV racing action, and it was as exciting as ever. 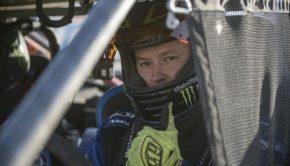 At 9 a.m. the Single Seat (SS) UTV race began, and it was John Baughman who would claim his first SS UTV win followed by Collin Truett in second and Robert Boynton in third. 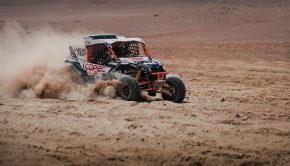 The last race of the day would follow a rain shower that impacted a portion of the afternoon ATV race and had the track slick as the UTV’s took to the track. 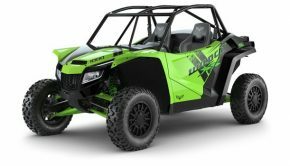 The battle in these UTV races come down to attrition as equipment is pushed to the limit. This round it would be Ohio native, Can-Am/Chaney Racing’s Kyle Chaney taking the win with Miller Brothers/Can-Am/Maxxis’ Hunter Miller in second and Jamie McCoy in third. 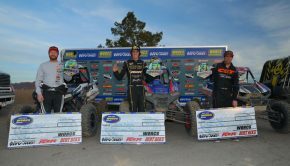 Can-Am racer, Derron Oakley finished in the fourth place position, while Coastal Racing’s Sean Bogdan powered his Polaris machine to a fifth place finish. 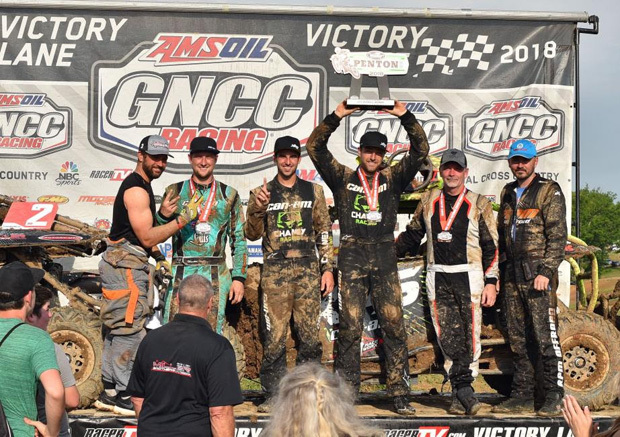 Kyle Chaney and Landon Wolfe stood on top of the podium, followed by Hunter Miller and Adam McGill in second and Jamie McCoy with co-pilot Jon Arnold in third overall.